These sweet looking and functional ski and snowboard carriers that installs quickly and easily. Features oversized push buttons for Easy carrier opening while wearing gloves. Snowboards can be carried base to base for maximum capacity. 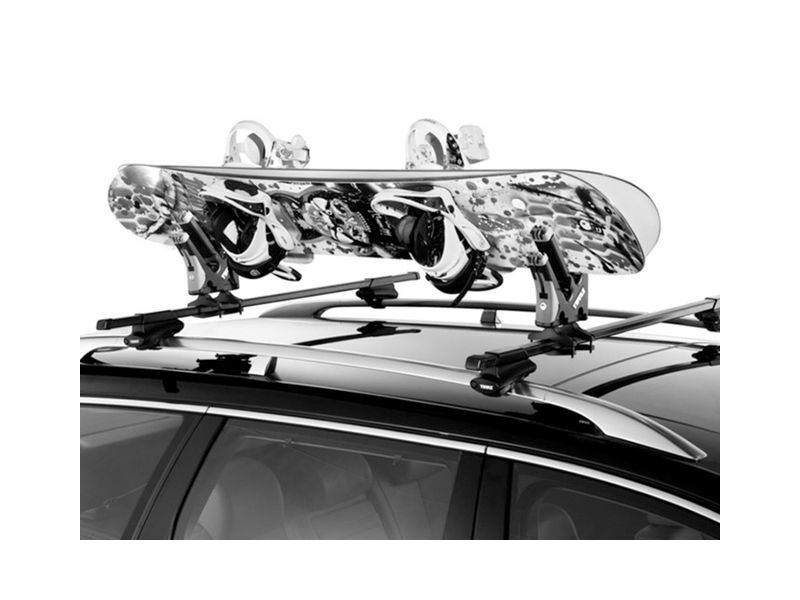 These sweet looking and functional ski and snowboard rack carriers are essential for any skier or snowboarder. They feature oversized push buttons for easy carrier opening while wearing gloves. There are multiple options available depending on your specific needs. Thule racks make it easy to haul your skis and snow boards. More good news – each carrier installs quickly. Snowboards can be carried base to base for maximum capacity. All the necessary hardware is included for mounting to Thule load bars. Clamps are available and sold separately for mounting to factory rack systems. Get your carrier today, and get on the slopes. Thule skli & snowboard carriers are backed by a limited lifetime warranty. Give us a call at 877-216-5446 if you have any questions. Thule ski & snowboard carriers are easy to install and remove. If you have any questions, please give us a call at 877-216-5446.